Ethylene glycol (EG) was green back when I was a young tech, and its formula is fairly obsolete now. Its technical name is IAT (Inorganic Additive Technology), which contained Borates, Phosphates and Silicates. Silicates (think sand) can drop out of the coolant mix and become abrasive causing leaks and worn out water pump impellers. When air (from low levels) mixed in with the coolant (cavitation) and sharp bends in the cooling system were present, the velocity of the silicates in the coolant could at times cause the abrasive damage to happen in a very short time. Reports of new heater cores beginning to leak after a few hours of run time were not urban legends. The cavitation / abrasive effect acted like a sand blaster. When you changed the old green IAT regularly, there were very few problems. Although it had decent corrosion protection in the form of additives, they did wear out. Organic Acid Technology (OAT) became common with DEX-COOL® which became the required coolant for GM and a few other manufacturers starting in 1996 as the 5-year / 150,000-mile coolant. Often called “Long Life” or “Extended Life” coolant, OAT gives a properly maintained vehicle a long service life mainly due to the increased longevity of the coolant’s additives. The OAT formula never became the panacea of OEM coolants. Chrysler, Ford, Mercedes and some others recommend not using OAT / DEX-COOL® coolant in their late model vehicles. HOAT (Hybrid Organic Acid Technology) a.k.a. G-05® is used by those OEMs. Studying the back of a Zerex bottle gives you the notion that a simple color coding system exists; green for the old Ethylene Glycol IAT, orange for OAT and yellow for the HOAT. While this may be true for some brands of coolants, it is not an official standard. 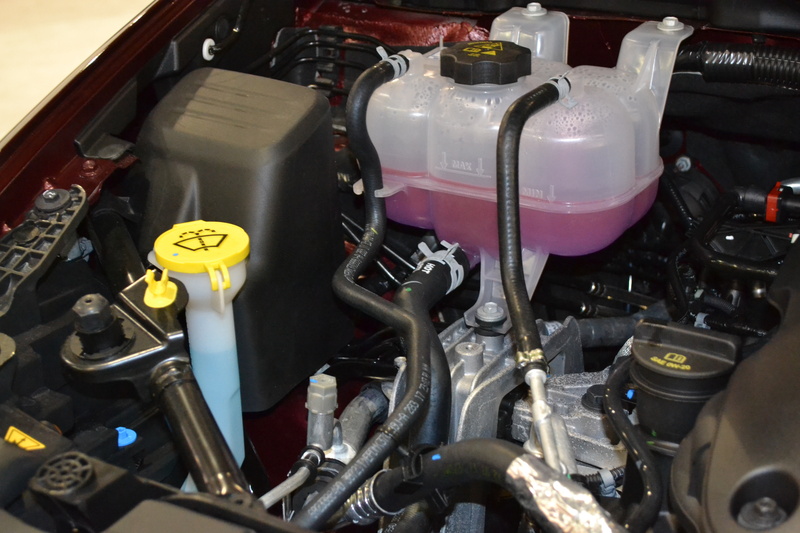 Coolant makers can use whatever color dye they like. HOAT comes in blue, pink, orange and even green on some Chrysler products. While HOAT EG does contain some silicates, the amount is less than its predecessor (conventional green IAT OAT / GM DEX-COOL® had a very rough road in the first few years). OAT / DEX-COOL® contains ethylhexanoic acid (2-EH) as a corrosive inhibitor. 2-EH is prone to damage plastics like Nylon 66 used in intake manifold gaskets and radiators. G30 OAT and Peak Global OAT do NOT use 2-EH. Air was also determined to be a major factor in causing system breakdowns. If those formulas weren’t enough, Phosphated Organic Acid Technology (POAT) came into the market in 2008-on Mazda / Ford in a dark green color. Which coolant do you use? OEM recommended? Universal? Personally, I go with the OEM unless there is a compelling reason not to. Budget limitations for select customers and vehicles would be a primary reason. If the customer hasn’t had any problems (yet) AND they’re on a very tight budget AND are willing to change that ‘universal’ coolant on a recommended interval AND they don’t plan to try to squeak out 250K miles, many of us trying to keep customers happy will do our best to appease them without going overboard or cheap.